Taiwanese culture is a unique amalgam of traditional and contemporary. It’s great to see the combination of traditional culture with modern art in a creative way. Thanks to Corporate Synergy Development Center, who organize “Fun Taiwan Creative Life” for travelers to “dig deeper" of Taiwan’s Creative Industries. 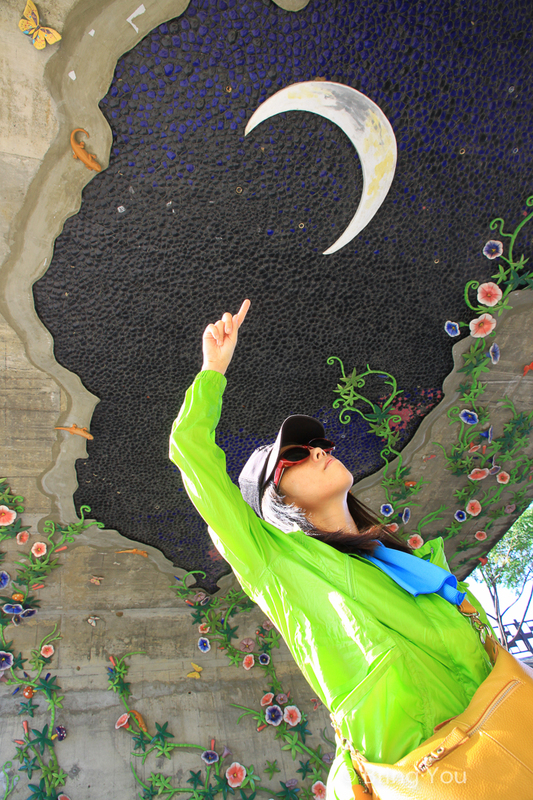 As an ambassador traveler, I am here to share with you my journey into Taiwan’s creative life. From this trip, we were surprised to see how well Taiwan traditional heritage and culture were preserved, and how artists turned sunset industry into a brand-new creative industry. 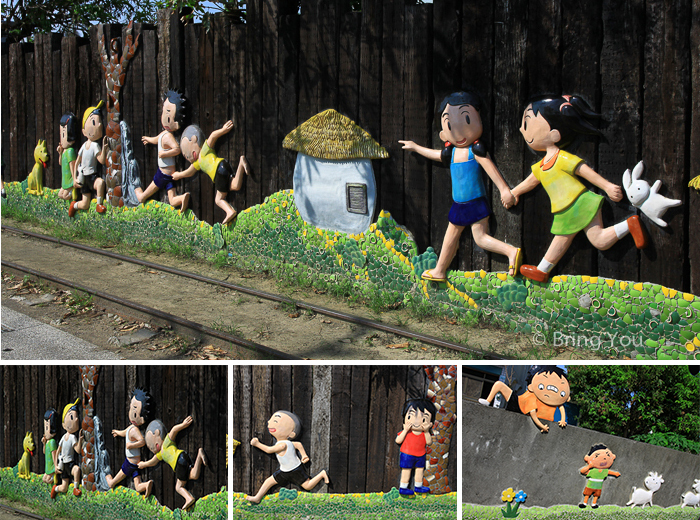 In Bantaoyao Crafts Studio and its community, we saw how artists combined traditional Jiao-Zhi and Chien-Nien with the living of the community, the traditional art skills have turned Singang into a vivid space full of local stories. In Singang Incense Garden, we learnt the incense played an important role in Taiwan’s culture and religion, and they also showed us the possibilities of incense, not just as a religious uses, but could become part of our life, through DIY, we even made our own incense pen holder. The first stop was the Singang Incense Artistic Culture Garden, we were told that incense played an important part in Taiwanese religion while it was required for worships and ceremonies in the temples. 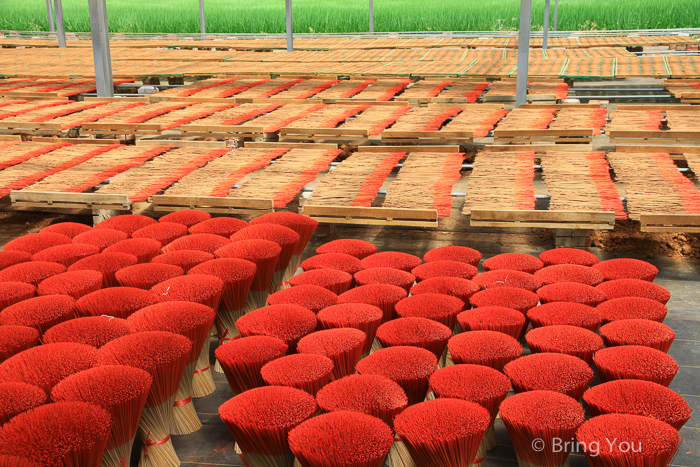 In the past, Taiwanese made most of the incense by hand, but now hand-made incense have been replaced by China’s cheaper produced product, which was quite a huge impact on the local factories. To seek the possible future, the traditional industry took traditional art, Chinese culture into modern life, and that became Singang Incense Artistic Culture Garden. In the garden, the traditional process of making incense were performed in a glass room in front of the entrance to the exhibition halls. Walking into the major exhibition hall, the modern atmosphere with Chinese style decoration was incredible. The chandeliers were decorated with incense, giving a nice aroma of incense. The history of incense were displayed on the wall with drawings and creative incense products which gave us a better understanding of the incense culture. Besides from the exhibition halls, you could also make your own incense product in their DIY classroom, it was kind like making pottery, but with the good smell of sandalwood incense in the material, which added more joy to the DIY. 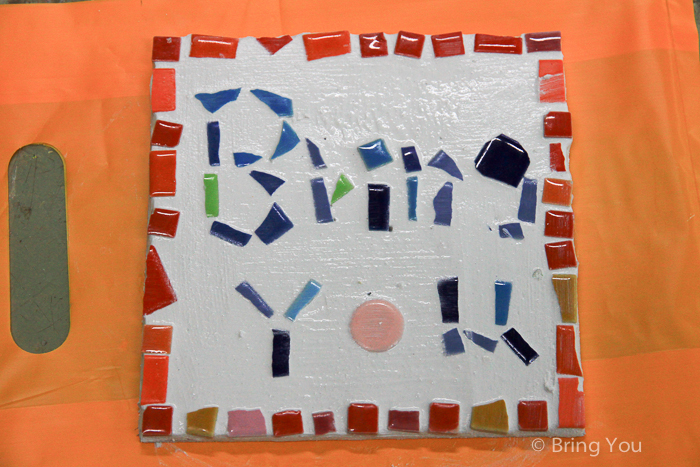 The next stop, Bantaoyao Crafts Studio, was an amazing community full of colorful pottery. This kind of pottery were often seen in traditional temples as decoration like dragon, flowers and traditional figures. To promote the traditional spirit and art of pottery, Mr. Chen Chung-Zheng found Bantaoyao for tourists to experience the beauty of traditional Chinese culture, not just the studio itself, the whole community were all decorated with colorful pottery, which turned this place into a lovely community. 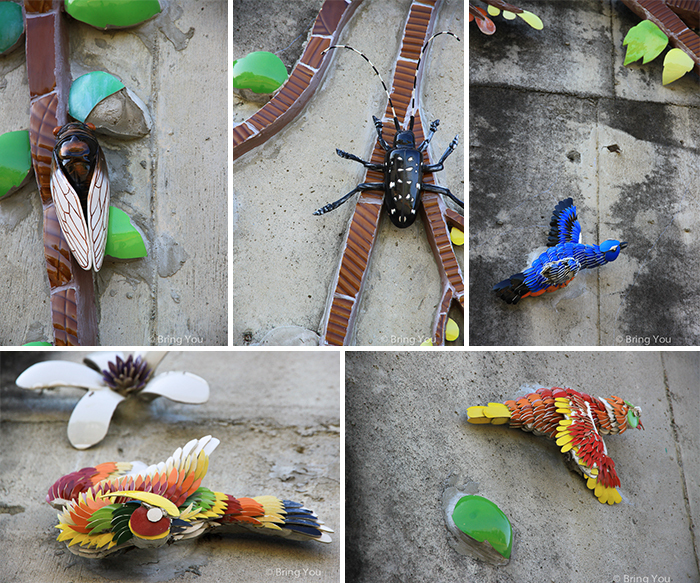 ▲ Artist turned stories of every household in the community into art with pottery outside their houses, and this story told the life of a family who established the hardware factory. 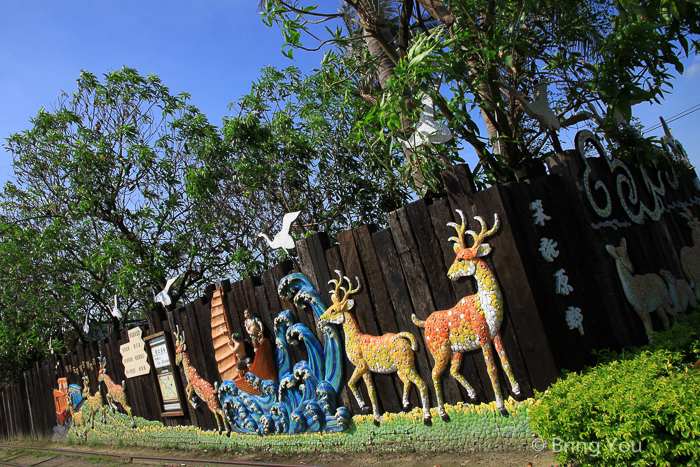 ▲ Artists also made local culture into pottery art, such as sika deer and the harbor, which were once the symbol of Singang. 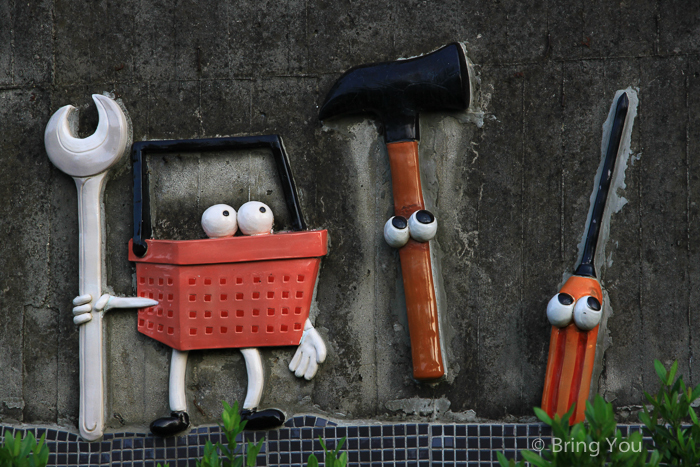 ▲This pottery wall in the community showed the early childhood in Taiwan. 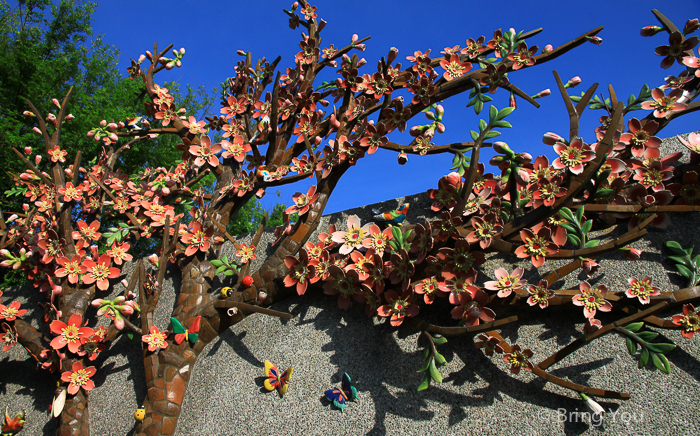 ▲A famous pottery wall of China Tree with four seasons altogether. 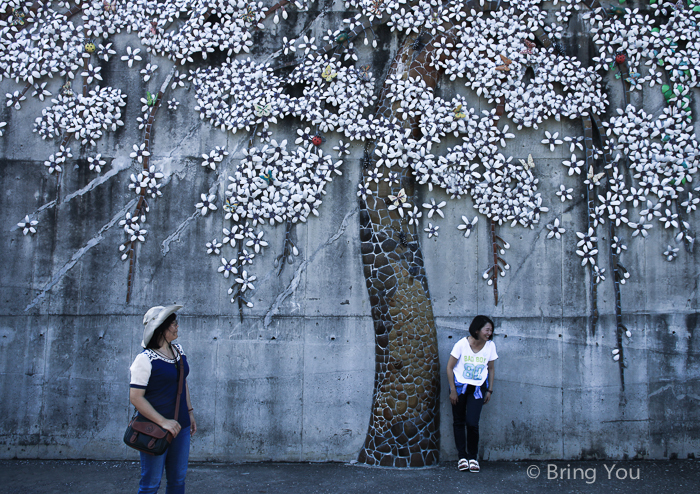 ▲ Skills of making traditional Chinese pottery, Jiao-Zhi and Chien-Nien were used in this pottery wall. 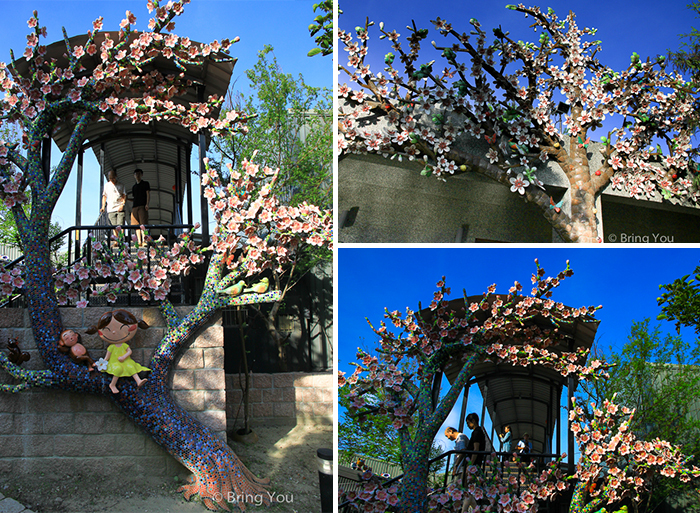 ▲There were three cherry blossom trees in Bantaoyao Crafts Studio, each were made in different skills. You could make your own pottery work in the DIY classroom, they had pottery painting. chien-nien pottery and mosaic tiles for tourist to work on. Finally, I finished my work. Look! Isn’t it a masterpiece? It was really a hard work , but still a great memory.